The Big South project moved on where Go-for-IT!, the citygame The Patching zone is producing now in Rotterdam Zuid, stopped. 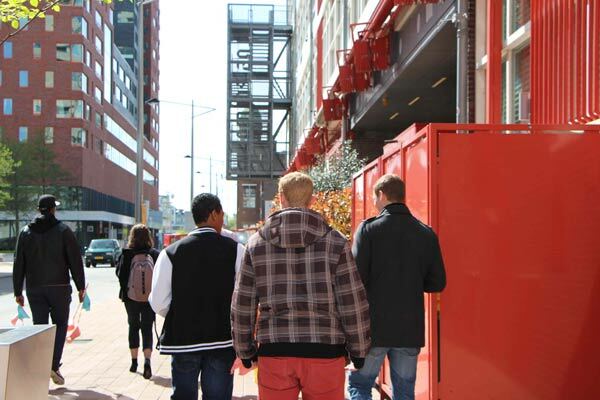 It used the contacts and partnerships that had already been made in the area to work on a network that motivated and facilitated young people from Rotterdam Zuid to start as a creative entrepreneur. To realize this, a -mobile- Digital Lab was created and a major end-event was produced, together with our partners and young people from the area. Throughout the period there were many peer-to-peer workshops, where the exchange of skills and idea's were crucial. The project built a node of the international Living Lab network where young people could experience with creative media applications in a digital media lab and get a strong theoretical and practical preparation in cultural and social entrepreneurship.